At Waze, our mission of outsmarting traffic, together forces us to be mindful of our users most precious possession — their time. Our cloud-based service saves users time by helping them find the optimal route based on crowdsourced data. But a cloud service is only as good as it is available. 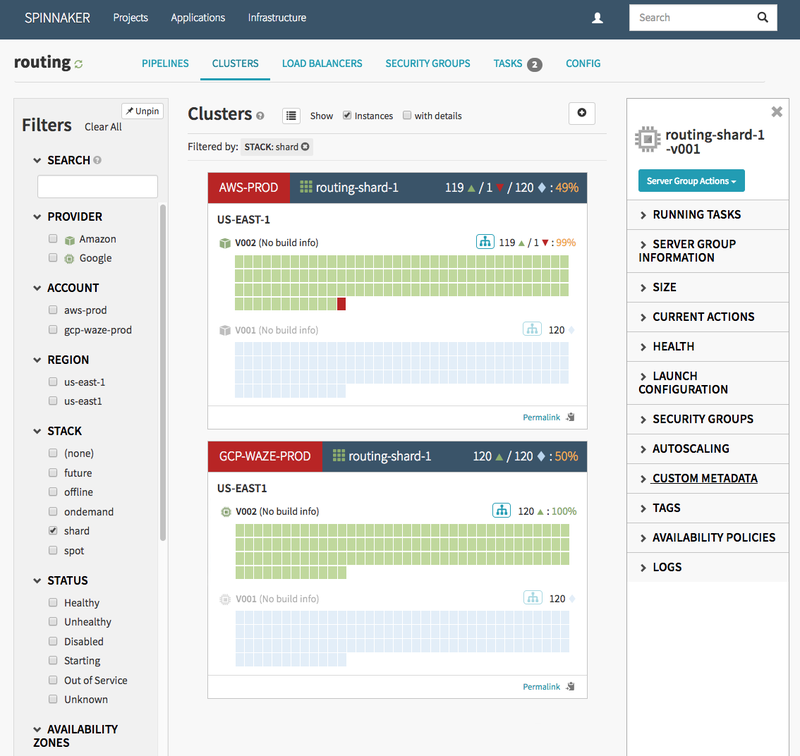 At Waze, we use multiple cloud providers to improve the resiliency of our production systems. 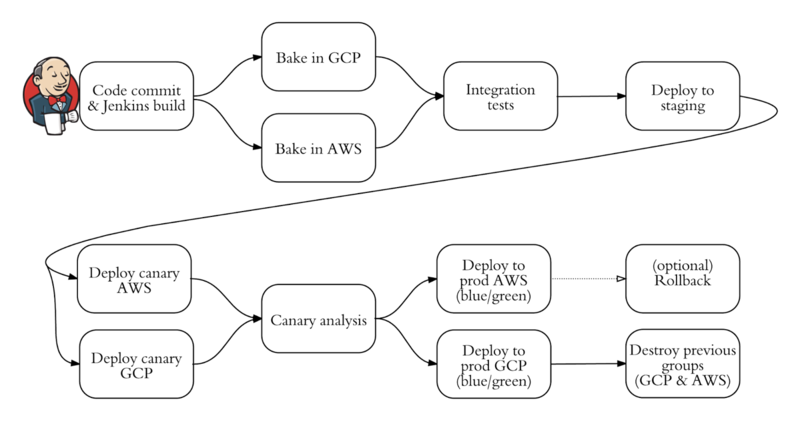 By running an active-active architecture across Google Cloud Platform (GCP) and AWS, we’re in a better position to survive a DNS DDOS attack, a regional failure — even a global failure of an entire cloud provider. Sometimes, though, a bug in routing or ETA calculations makes it to production undetected, and we need the ability to roll that code back or fix it as fast as possible — velocity is key. That’s easier said than done in a multi-cloud environment. For example, our realtime routing service spans over 80 autoscaling groups/managed instance groups across two cloud providers and over multiple regions. This is where continuous delivery helps out. Specifically, we use Spinnaker, an open source, continuous delivery platform for releasing software changes with high velocity and confidence. Spinnaker has handled 100% of our production deployments for the past year, regardless of target platform. At Waze, we strive to release new features & bug fixes to our users as quickly as possible . Spinnaker allows us to do just that while also helping keep multi-cloud deployments and rollbacks simple, easy and reliable.